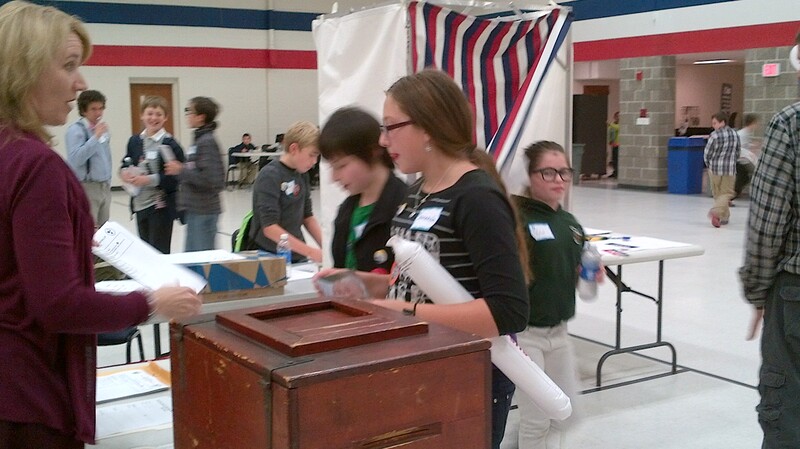 Participating in the Maine Student Mock Election is an excellent way to encourage young people to become interested in voting and involved in candidates campaigns and state and national issues. More than 26,500 students from 166 schools voiced their opinion in the 2016 Presidential election. Many schools use this as an opportunity to bring civics and current events into the classroom. Many times such discussions in the classroom continue at the dinner table when the student goes home. Those parents who already vote will reinforce the lessons learned in the classroom. Those parents who are apprehensive about voting may become interested in the electoral process because of the interest developed by their son or daughter. Follow this link to view current results and check back for updates. All tallies submitted to the Rally event will be posted by 5:00 pm. Do you have a photo of your Mock Election to share? If so, please submit your photo along with a release form(s).